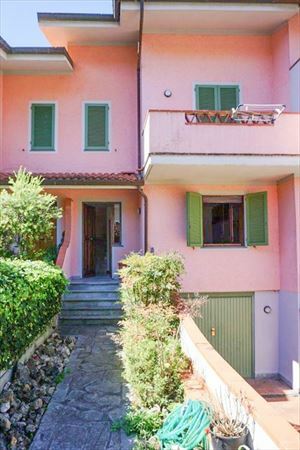 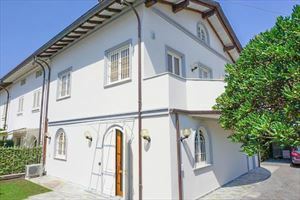 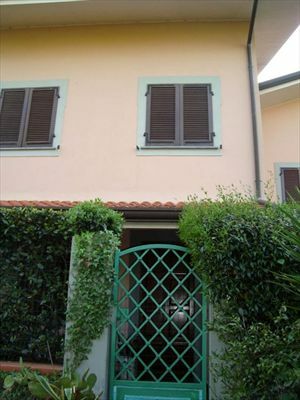 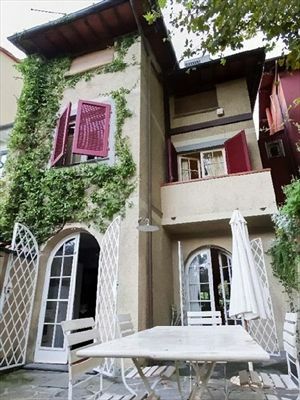 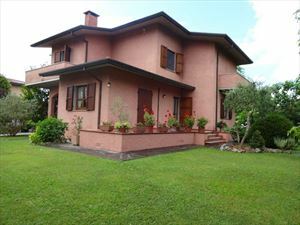 A new townhouse is located in the center of Forte dei Marmi at a distance of about 400 meters from the sea. 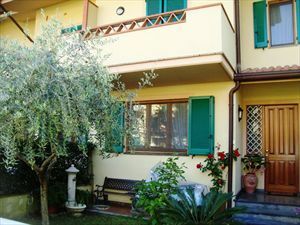 The ground floor consists of a living room, a bathroom and a kitchen equipped with modern appliances. 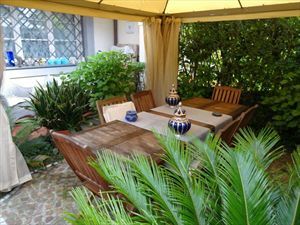 In front of the house is a covered terrace with dining area, a small garden with barbecue and a private parking. 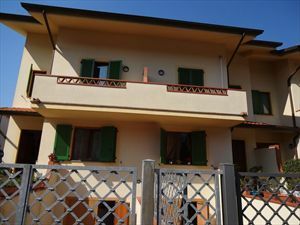 The upper floor has a double bedroom, bedroom with a bunk bed and a bathroom. 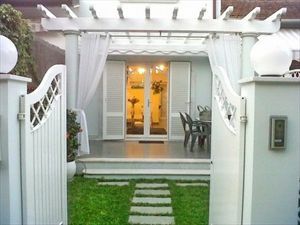 The house is equipped with air conditioning, alarm system, satellite TV, Wi-Fi; finished to a very high standard.